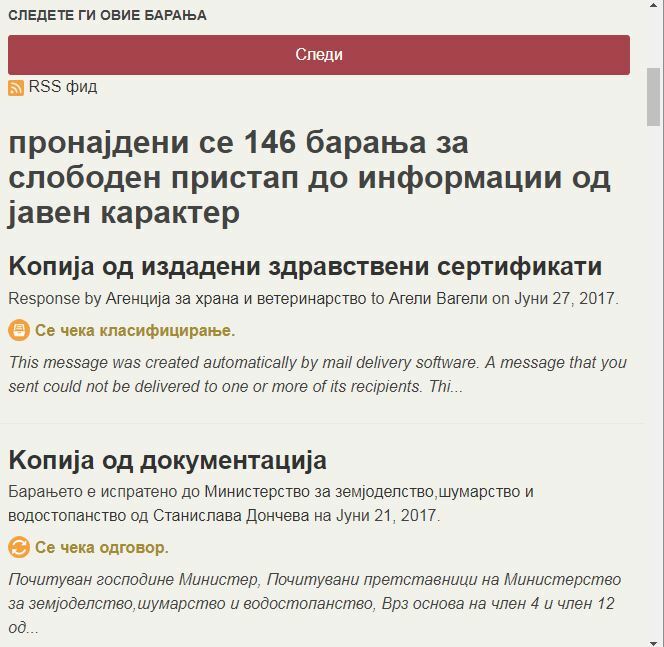 Слободен пристап (Free Access) is a Transparency and Accountability project implemented by the Foundation Open Society Macedonia to process Freedom of Information requests in Macedonia using Alaveteli. As of June 2017, 146 requests had been made 814 authorities using the tool. 29 of these requests had been processed. This page was last modified on 28 June 2017, at 05:51.